VORTEX yarn is spun with a unique technology. Its yarn structure optimizes the characteristics of its component fibers. In VORTEX spinning, one end of each fiber is anchored in the center of the yarn such that the center of the yarn is always without twist. The other fiber end forms the outer yarn layer in a 'true twist' arrangement. A revolutionary idea, “spin yarn with the vortex flow of compressed air” created VORTEX, a new concept in staple yarn. This structure is not limited by material. The yarn construction principle is the same regardless of the fiber used. 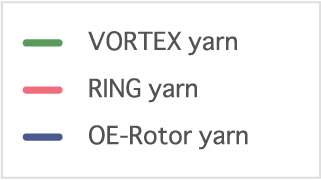 VORTEX yarn is made by the "VORTEX spinning machine" of Murata Machinery (MURATEC). 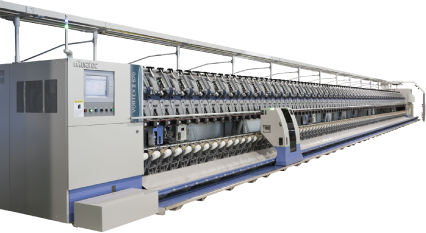 The VORTEX spinning machine spins yarns in a unique way using an air vortex which was developed and is manufactured only by Murata Machinery. In VORTEX spinning, each fiber is spun toward the center of the yarn. 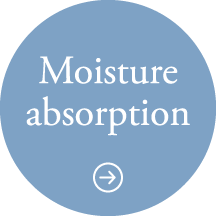 Therefore, each fiber is secured in the internal yarn layer which prevents the fiber from sliding. 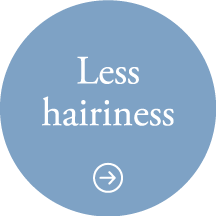 This produces “a stable yarn with low hairiness“. 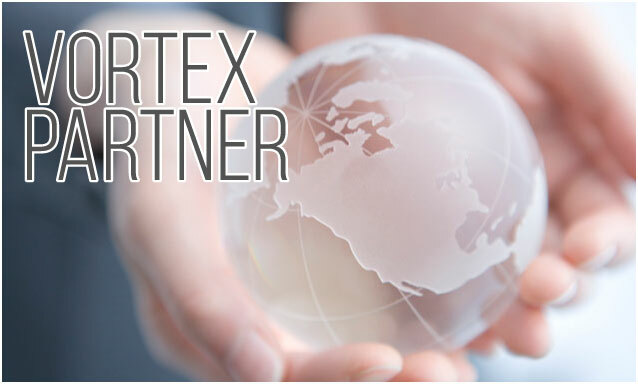 VORTEX has many positive characteristics with a rich combination of functional and fashionable features. This technology allows many globally famous apparel companies to produce high-value-added products. The figure on the right shows vertically the tightness of twisting, and Z-twist and S-twist indicate the directions of twisting centering on “0”. 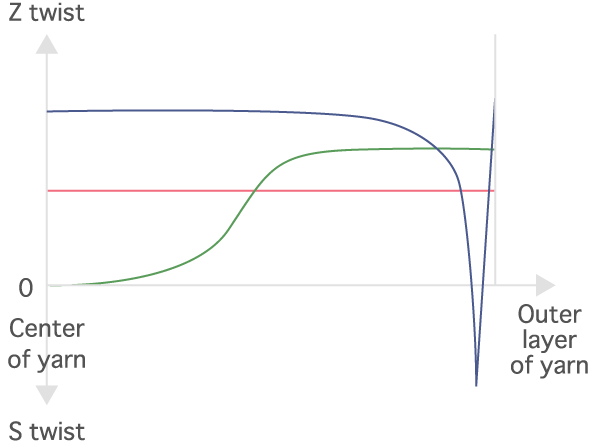 The horizontal axis in the graph shows the distance from the center in a cross section of the yarn. 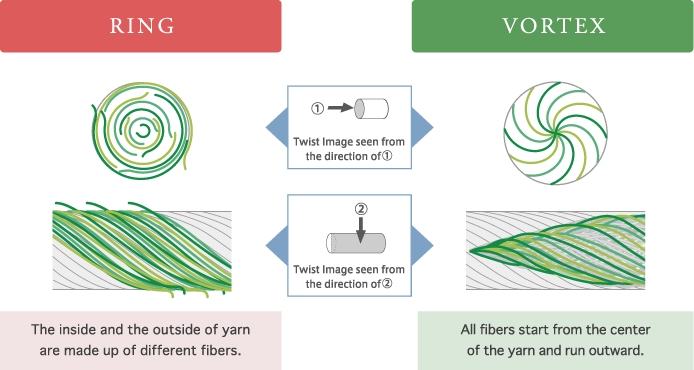 The image chart of each type of yarn shows the yarn-twisting structure seen from the side. Twist is prominent toward the outside of the yarn, while at the center of the yarn, fibers are parallel. There is no untwisted part. Twist of some degree is present in the entire yarn from the center to the surface. In areas of uneven yarn thickness, the twist will be high at the thinner sections, and low at the thicker sections where hairiness tends to be high. 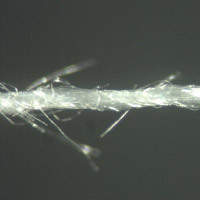 All fibers are twisted from the center to the outer side. 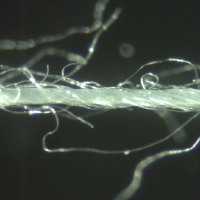 For fibers near the surface of the yarn, twisting is uneven. 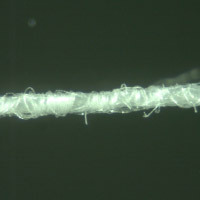 Some fibers are twisted in the opposite direction of the main bundle.